Whether you’re in it for the colorful foliage, cider donuts, pumpkin spice or warm apple pie, New York&apos;s apple orchards are filled with everything you love about fall. 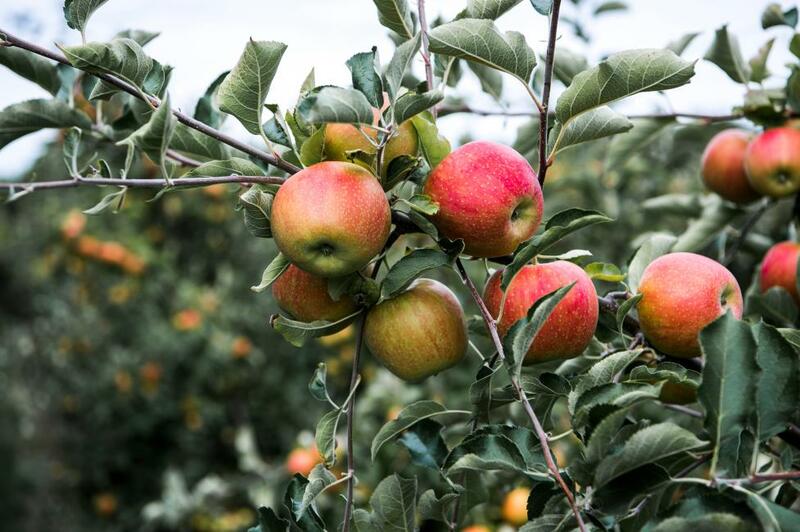 And luckily, New York is the second highest producer of apples in the nation, so there are plenty of places to enjoy the harvest--and drink it too. 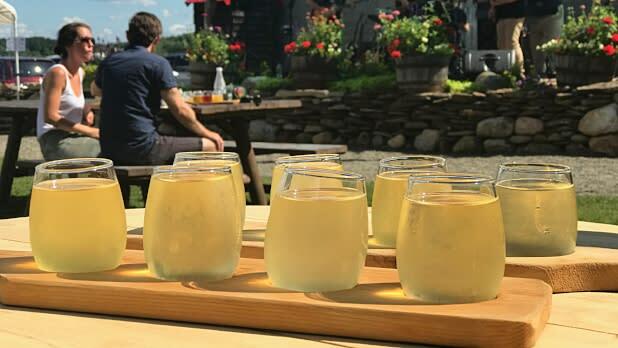 Here are some scenic spots to pick apples and sip cider all over New York. 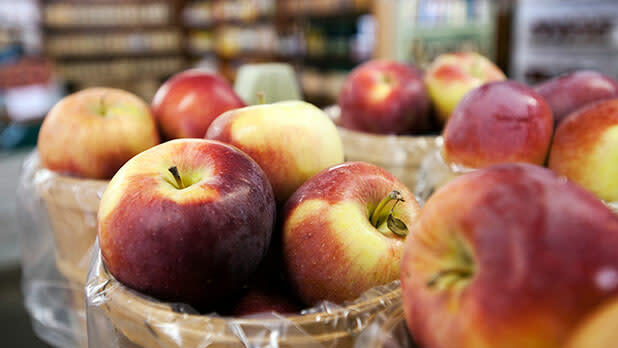 Voted the #1 American Apple Orchard by USA Today, this family-owned farm offers everything from hay rides and pumpkin patches to their 1911 Hard Cider and bountiful apple trees. Check their events calendar for seasonal festivities and get picking! You’d be forgiven if you visited Indian Ladder and never wanted to pick apples anywhere else. Harvesting apples, blueberries and raspberries, this farm is as much a pick-your-own orchard as it is a cidery and brewery. Pick a bushel then visit their tasting room where beer and cider made from apples, pears, berries and pumpkins are available on tap. Sample their homemade fudge or fruit wines, and you will quickly see why Becker Farms is packed every season. Not only do they offer apple picking on their 340 acre farm, but they also have a pumpkin patch, corn maze and plenty of beer, cider and wine from their vineyard on the Niagara Wine Trail. Come for drinks, food and pick your favorite seasonal fruits from summer strawberries and cherries to fall apples, pumpkins and plums. Known for growing a wide variety of apples from Honeycrisp to Golden Delicious, Apple Dave’s makes picking an experience with live music, pumpkin patches and Applewood Winery just next door. 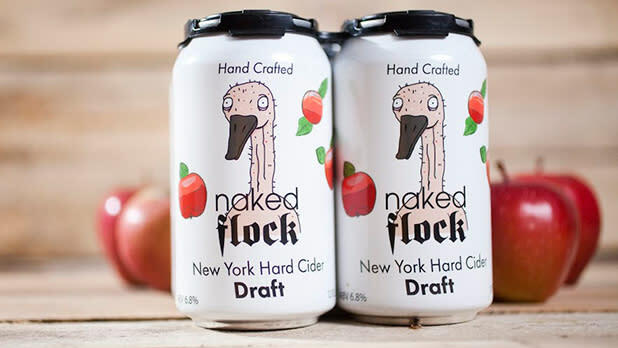 Fill your basket with the season&apos;s harvest then stop by the tasting room where wine and hard cider made from NY apples are served in a charming, rustic tasting room. The annual fall Apple Festival & Craft Show, which celebrates the arts and agriculture of the Capital region, is just one of many reasons to love Goold Orchards. 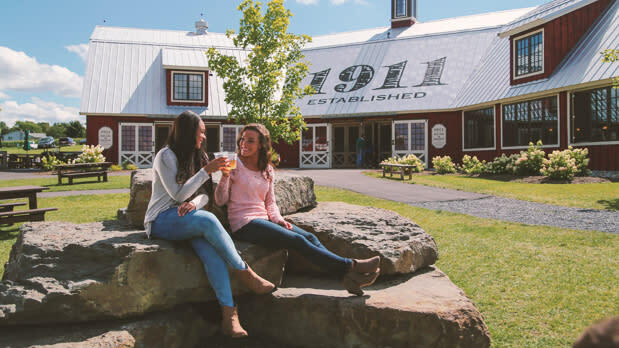 A cider mill, winery and orchard all in one, this family-run favorite is the place pick a bushel of apples, taste homemade pies or unwind with a craft drink pressed from the apples and cranberries grown on site. Growing flowers, vegetables and crisp apples, Harvest Moon isn’t just an orchard, it’s a working farm that shares the Hudson Valley’s bounty. 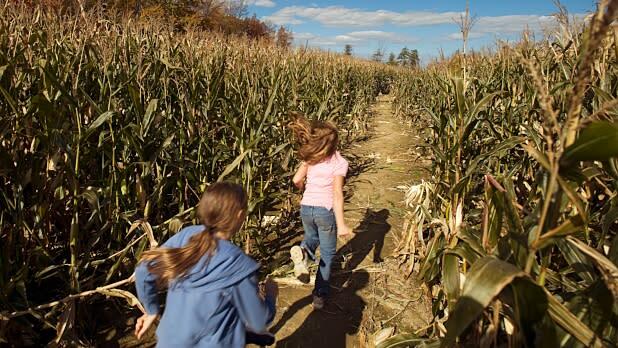 Every weekend from September through October, the farm hosts their Fall Festival series where everything from live music, pumpkin patches and apple picking to pony rides, bouncy castles and face paintings, will fill you with the joys of the season.